Researchers from Imperial College London found that transitioning to natural gas to fuel the freight and shipping industries will not be enough to meet emissions targets, and in some cases, the benefits may be eliminated. The white paper from academics at Imperial’s Sustainable Gas Institute, found, while examining the potential benefits of using natural gas for ship and truck fuel, that some natural gases, like methane, leak as they move through the supply chain, which significantly reduces the benefit of switching fuel. They also found that natural gas was not as energy efficient as diesel. 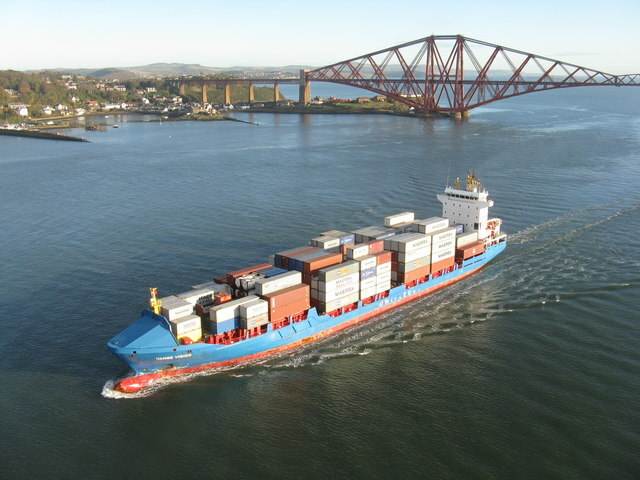 “The greenhouse gas benefits of natural gas as a transport fuel are useful in the immediate term, but must be coupled with additional energy efficiency measures and longer-term plans that include much lower carbon truck and ship technologies,” said lead author Dr Jamie Speirs, from Imperial’s Department of Earth Science & Engineering. Heavy fuel oil and diesel are currently being used by long distance ships and trucks, which emit greenhouse gases like carbon dioxide (CO2) that contributes to global warming. They also emit air pollutants like nitrogen oxides (NOx), sulphur oxides (SOx), and particulates which contribute to air pollution and harm human health. Road freight contributed 7% of global CO2 emissions, while ships contributed up to 2.5% in 2015. Even though everyone is aware of these statistics, reducing or eliminating carbon emissions from long haul vehicles and ships has proven difficult, with advanced battery electric or hydrogen fuel cell systems more expensive and potentially limited in the range they can deliver. “To get the full picture on greenhouse gas emissions we looked at the whole life cycle and the fuel supply chain as well as tailpipe emissions. Our review shows that small amounts of methane leakage across the supply chain of natural gas can eliminate the benefit of substituting diesel for natural gas. We also found that natural gas engines tend not to be as energy efficient as diesel engines and that this also reduces the carbon benefits of trucks,” added co-author Dr Marc Stettler, of Imperial’s Department of Civil and Environmental Engineering. “To achieve deeper emissions reductions, we will require a mix of technologies including electric vehicles for short urban routes, electrification of long-haul operations and more efficient logistics processes,” he concluded.